New ProCure proton therapy center in New Jersey is under construction. The first treatment room of the proton system was completed in record time. 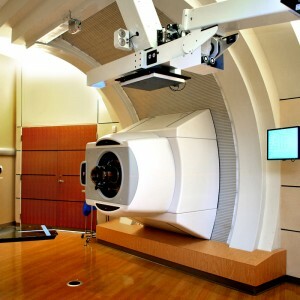 Less than one year after its arrival at the ProCure Proton Therapy Center in Somerset, New Jersey, the installation completed installation of the 220-ton cyclotron, beam line and the first of four state-of-the art treatment rooms. IBA engineers and medical physicists matched their previous installation milestone set at CDH Proton Center, A ProCure Center, in Warrenville, Illinois, a Chicago suburb. Clinicians at the 60,000-square-foot Somerset facility began treating cancer patients with protons this past March. At full capacity, the center will treat about 1,500 patients per year.